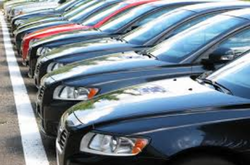 We are used cars dealers in Hyderabad. We deals in all types of second hand cars. We are used car dealer in Hyderabad. We deal in Maruti cars, HOnda cars, Hyundai & all types of second hand cars. Now, Hyundai has come with exciting offers on all models including Amazing Discounts n Accessories. With maximum finance options, at reasonable interest rates. Please find below our state of art Maruti Suzuki showrooms at various locations in New Delhi. We are used car dealer in Hyderabad. We deal in Maruti cars, HOnda cars, HYundai cars & all types of second hand cars. We purchase/sell all kinds of highend exclusive cars all over India. Finance option available for cars purchased and sold in Telangana and Andhra. We are used cars dealers in Hyderabad. We deals in Maurti cars, Honda cars, HYundai cars & all types of second hand cars. We are used cars dealers in Hyderabad dealing in all types of used cars such as Honda used cars, Hyundai used cars, Maruti used cars etc. We provide best quality of used cars in Hyderabad to our customers. We are HDFC Used Cars Dealers in Hyderabad dealing in all types of used cars such as Honda used cars, Hyundai used cars, Maruti used cars etc. We are used car dealer in Hyderabad. We deal in Maruti cars, Honda cars, Hyundai cars & all types of seond hand cars. Mohan’s Motors offer a wide range of quality used cars for sale in Hyderabad, Secunderabad & the surrounding areas. At Auto Chenoy we appreciate that selling your car can be a difficult and often time-consuming task . We aim to make it as simple as possible for you. With our years of expertise and wide range of trade contacts we are ideally placed to get you the best possible price for your car.